Home » PCU Zeitgeist » Con Talk » The Maryland Renaissance Festival – A different “convention” experience. The Maryland Renaissance Festival – A different “convention” experience. While we here at PCU often focus on pop culture and conventions, there are times we cross over into other hobbies and events. One of these that might be of interest to our readers is the renaissance festival, an experience that shares some similarities (but a few differences) from the cons many of you attend. Luckily, we have some experienced “Rennies” who will gladly show you through those arched gates into the anachronistic fantasy-history world. I’m going to get straight to the point – dressing up for the Maryland Renaissance Festival is awesome. While standard cosplay usually focuses on fictional characters, “RennFest” is the time to let your history and fantasy nerd flag fly. From the Renaissance to the Medieval to the 17th century; barbarians, Vikings and Scots! Faeries, wizards and more! There’s no need to pick a single character – just let your imagination run wild. Sure, some might choose to portray Robin Hood or Gandalf, but most “garb” is an expression of personality rather than anything specific. Now, just like conventions, you don’t have to dress up. The cost of most of our outfits rivals (or even exceeds) some of the best cosplay. The great thing about dressing up, though, is you feel like you’re part of the show. The actors, performers, and exhibitors all bring the village to life, and now so do you! That’s something I think is missing from many conventions – a core theme. 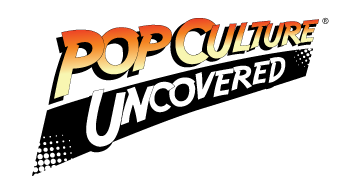 Most conventions are simply “pop culture,” excluding show-specific cons (like Star Trek or Doctor Who). There’s little coherence, barring individual groups or meet-ups; just a parade of random (albeit amazing) outfits. RennFest is like everyone dressing up is on the same page, at least as far as historical fantasy goes. Oh, you thought conventions had some amazing artists and exhibitors? Wait until you check out the handcrafted wares on display throughout RennFest. To be fair, many renaissance festivals start out as craft shows with some entertainment and historical themes. It’s little wonder that the finest jewelry, pottery, paintings, woodwork, etc. can be found on site. 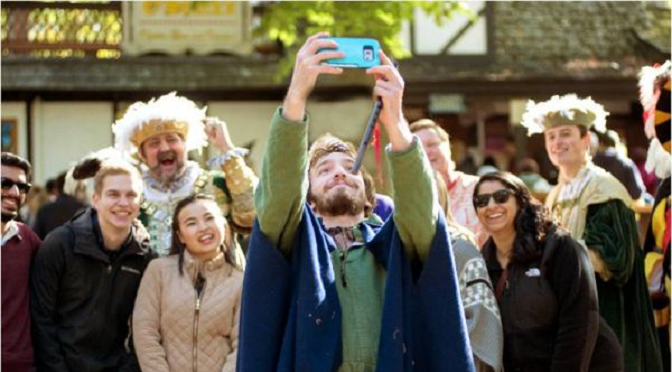 This difference may be the part that also divides RennFest from your typical convention, as this merchandise appeals to a more mainstream audience. Not to mention, the cost of some of these handcrafted arts and crafts would put even collectible statues and autographed items to shame. Some, but not all. I’m looking at you first issues of comics. Entertainment is one area I think the Maryland Renaissance Festival outshines more contemporary counterparts. Sure, you have panels, and you might have karaoke sessions or musical guests at an evening dance party. RennFest? Try multiple stages, non-stop throughout the day, with both musical and non-musical performances. Celtic music, pirate shanties, comedy acts, Shakespeare, daredevils, jousting, etc., and some shows that combine them! On top of that, the main cast put on living, interactive shows with a central story line over the course of the season. That’s in addition to the historical “panels,” which provide an excellent education about the period. You can learn about everything, from Renaissance law to ancient weaponry to the stories of Henry the VIII’s reign. I realize that beating the quality of convention center food is a low bar. Overpriced, mediocre quality, and limited choices seem to be the norm. Renaissance festivals may not be the healthiest places to eat, but they sure have a lot of tasty options! Also, how many conventions have you been to with beer, hard cider, wine, and mead? That’s not even including the non-alcoholic drinks and various desserts. Could you imagine a geek convention with dozens of food vendors and light alcohol? OK, I’ll be honest – you’re not going to find movie and TV celebrities at renaissance festivals, although some started there. You can occasionally meet well-known authors or popular folk bands. To be fair, though, I’m not trying to one-up most conventions. They’re different experiences for different people, and there’s a lot of great things about events like AwesomeCon or Baltimore Comic-Con. Still, I think a lot of fans of those events will also find something similar, or at least enjoyable, about the Maryland Renaissance Festival. You can dress up, peruse unique wares, and you get entertainment and dining options along with it. Not to mention, while conventions last for three or four days a year, RennFest often runs every weekend for two or more months! So, don your best Lord of the Rings gear, brush up on your folk music, and get ready to chow down on a turkey leg or something-on-a-stick. The Maryland Renaissance Festival opened this past weekend (August 26th and 27th) and will continue every Saturday and Sunday (and Labor Day) until its final day on October 22nd. For more information, check out their website! 1 Comment on The Maryland Renaissance Festival – A different “convention” experience.